A woman was sentenced to five years in prison for firing guns in Houston before posting the video on Snapchat. 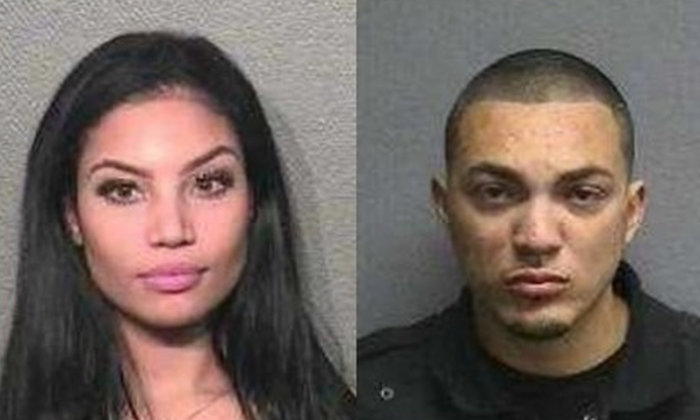 Sierra Tarbutton and Michael “Money Mike” Cuellar allegedly fired guns while riding down Houston’s Memorial Drive in September, ABC13 reported. For the stunt, Tarbutton got five years in prison. Sierra Tarbutton, 27, pleaded guilty to deadly conduct as well as criminal mischief before she was sentenced, Click2Houston reported. She provided “yes” and “no” answers to the judge’s questions. She admitted to firing a semi-automatic weapon out of a car window as she and Cuellar drove down the road. A judge granted Tarbutton her request to spend Christmas with her family. She doesn’t have to turn herself into officials until January 2, 2018, the report said. A judge warned her that if she doesn’t come in, authorities will come looking for her. “There were some abandoned buildings that were alleged to have been shot at, that’s what I’ve heard,” said her attorney during the time of her arrest, KHOU reported. Cuellar was described as a local drug dealer and rapper, KHOU reported. Tarbutton also allegedly threatened a public servant in the past.